Most Utahns are familiar with the Uinta Mountains, but few realize that the range has twenty-one peaks above 13,000 feet ("thirteeners" or "13ers"), some of them still unnamed. The elevation, challenging terrain and weather, solitude, and the beautiful setting in Utah's largest wilderness area make climbing the thirteeners a particularly rewarding experience. Better yet, in the summer and early fall every one of Utah's thirteeners can be safely climbed by a reasonably fit hiker without rope or climbing gear (even the most rugged-looking summits like the photo at left!). This guide provides detailed topographical maps and information on access routes and trailheads, summit routes with difficulty ratings, camp locations, estimated hiking times, weather advice, and brief facts about geology and the history of the wilderness area. It also includes over fifty photographs of this breathtaking country, in both black and white and color. If you would like to be updated regarding Utah Thirteeners (website updates, route updates, etc), click here. 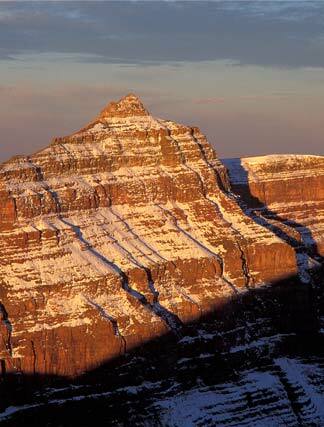 "This book is an inspiration to get out and get on top of Utah's thirteeners--just what a great guidebook should do!" "This new book is easily the best Utah hiking guide to come along since "High in Utah" was published in 1999 ... anyone wanting to hike some or all of Utah's 13,000-foot peaks will find all the information they need here." "I appreciate your book on the Uinta Thirteeners. I have been packing into the Uintas for 26 years, but you shed refreshing light on familiar ground!!! Thanks."